Home / Holiday Gift Guide 2015 / ChocolateText.com to bring your message in good taste! ChocolateText.com to bring your message in good taste! I was lucky enough to review one of the neatest things for the holidays!! I am excited to have this in our Holiday Gift Guide. ChocolateText.com will write any message you want out in chocolate! Amazing and so unique. My husband’s family lives out-of-town and we are always looking for unique things like this to send to them. You get tired of sending flowers, and chocolate covered fruit, the fruit of the month is a little overdone for us as well, so this year we were looking for something really cool and I have found it. 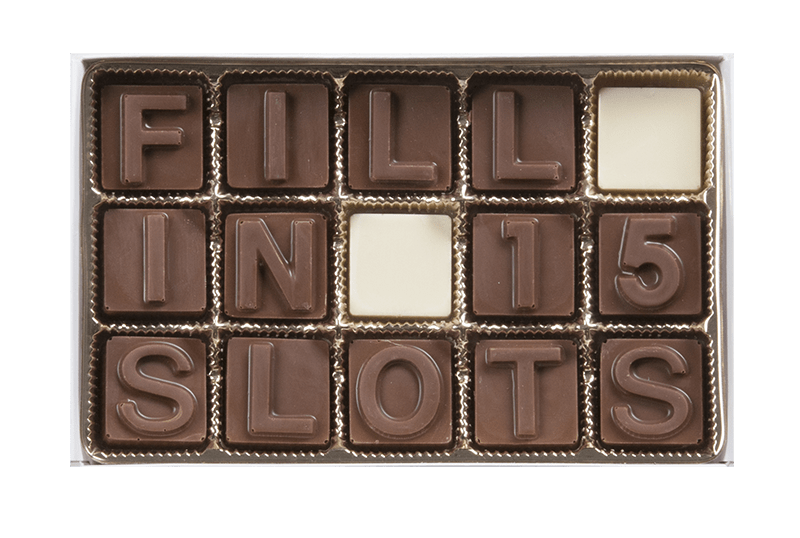 At ChocolateText.com you can put any message you want all the way up to a 48 piece message, as each letter is its own chocolate. I can think of so many messages I would love to send! Wouldn’t it be neat for a soldier coming home to send one that said I’ll be home for Christmas! that would be cool, or even a proposal. You could send one to your partners work that said, “You are going to be a Daddy!” or even to new grandparents. This one is 15 slots that you can fill in! I always especially appreciate companies who go the extra mile contributing to great causes and ChocolateText™ supports the efforts of the Gramon School in Fairfield NJ through the donation of products and the hiring of students. The Gramon Family of Schools has operated continuously since 1939, beginning with The Gramon School, serving adolescents and young adults with special needs. All of the schools are dedicated to working with children with special needs, specializing in those diagnosed on the autism spectrum. With their fabulous blend of Belgian and American chocolates they are able to send any kind of message you would like! If you are looking for a unique gift to send to someone you cannot see in person or want to do something a little more personal this year, I think the ChocolateText.com messages can deliver exactly what you are looking for. You can check out their website here to order and follow on Facebook, Twitter, Instagram and Pinterest to see the ideas of their recent customers! Pass code is CYBERWEEK entered at checkout. The deal runs 11/30-12/6.